So we’ve talked about fall fashion and accessory trends; now let’s turn our attention to grooming. Because just as clothing and accessories change every six months, so do hair and makeup. If you want to look current without spending a lot, freshening up your beauty routine is an easy way to do it. Start with your health. Beautiful skin, bouncy hair, and healthy nails are always in style. 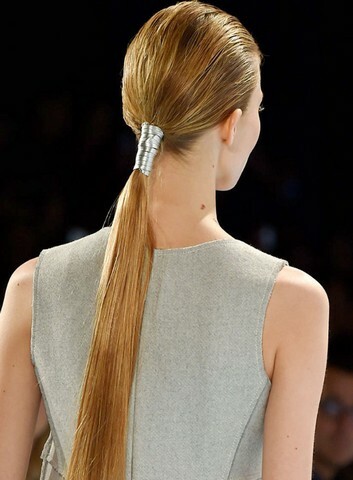 Whether you have long, short, or shoulder-length hair, there’s something for everyone this season. Pixies are sleek and daring. But they also require regular trips to the salon. If you (or your budget) are hit-or-miss with this kind of maintenance, try a longer length instead. A blunt-cut bob always looks cutting edge and is a chic way to go if you have straight hair. Bangs are back in a big way this year, and are one of the easiest ways to change your look. The bonus? Bangs draw attention to your eyes and can make you look younger. This updated version of the 1970s shag combines long waves with peekaboo bangs and is great for shoulder length and longer hair. It’s also one of the most popular styles of 2015. 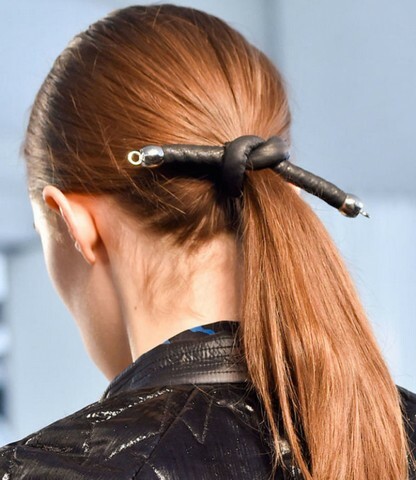 Low, high, sleek, messy – ponytails were all over the runways this year. Simple and chic, this is one of the easiest trends to follow if you have shoulder length or longer hair. 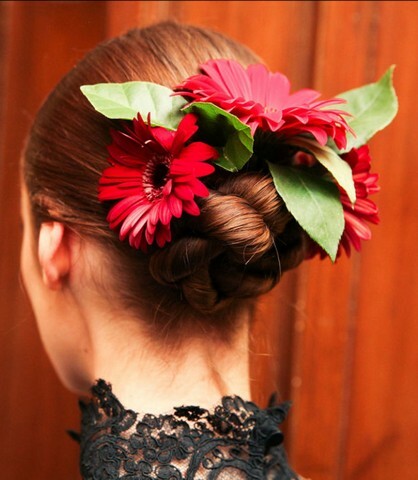 Updos are also very popular. 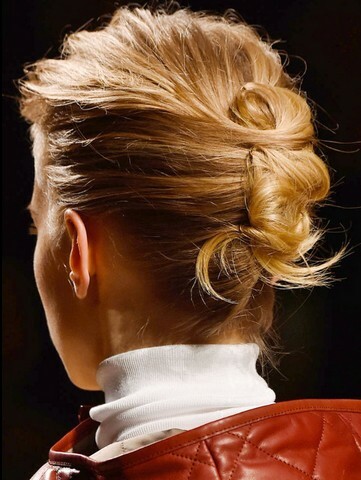 Buns, knots, chignons, French twists, and half up styles were all over the runways. Another easy way to change your look. Prominent parts are also back in a big way. Try a simple part down the middle, or a side part with gel to hold hair in place. 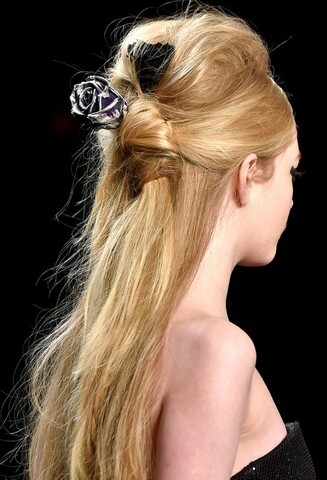 Jazz up your hair with a pretty headband, clip, or ponytail holder. Go glam for evenings, but keep it office-appropriate for work. The two words you need to remember for makeup this season are: eyes and lips. The trends are bold and dramatic, so do one or the other, but not both at the same time. You only want one focal point. 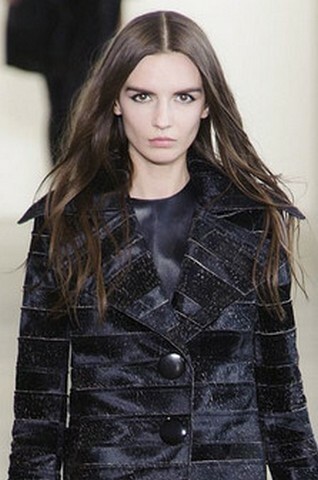 Dark, smoky eyes dominate this season, with a variety of new eyeliner looks coming off the runways. 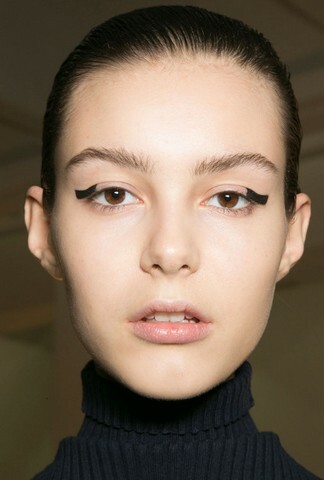 If these looks are too dramatic for you, try simple eyeliner instead. You can find lots of step-by-step tutorials on YouTube, including this one from makeup artist extraordinaire Alexys (Lex) Fleming of MadeULookByLex.com. P.S. Need some great Halloween makeup ideas? Check out Lex’s jaw-dropping makeup special effects channel at MadeYewLook. 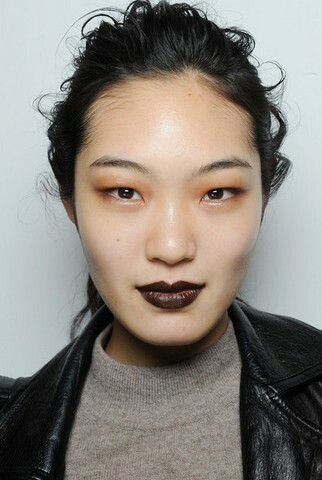 Dark lips are super-popular this year, in whatever shade works best with your skin tone. Just remember that dark colors make whatever they’re put on look smaller, so if you have small or thin lips, skip this trend and play up your eyes instead. Nails became a fascination during the recession when the economy tanked and money was tight. Women couldn’t afford a bunch of new clothes but they could splurge on a few bottles of nail polish to change things up. These days creative, eye-catching nails continue to be popular, with dark and/or unusual colors enjoying the limelight this fall. Also popular? Creative use of nail polish. These are fun, whimsical looks, but not necessarily office-appropriate, particularly in conservative industries. Keep that in mind before unleashing your inner nail artist. So…lots to choose from this season grooming-wise. You don’t have to do all of them, of course, but a new haircut and/or a new makeup routine can have you feeling trendy without spending a lot of money. 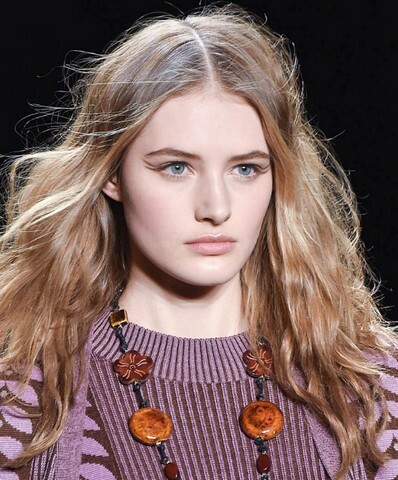 Which fall beauty trends will you be trying? Avoiding? Why? Sound off below. I am definitely the pixie or short hairstyle type. I understand the either eye or lip focal point and adhere to that. However, as a senior adult woman who wears glasses, what is a good principle for wearing eye makeup? Hi Libby, you need to go slightly darker with your eye makeup to allow it to show under your glasses. 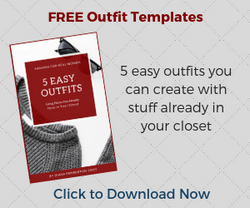 Here’s a great article with tips on easy ways to add emphasis. How do I tell my hair stylist to do a ‘swag’ cut? Would she understand what I’m talking about? I have naturally wavy hair, that tends to get frizzy. Haven’t had a bang in decades! Hi Magdalena. Take a picture to show your hairstylist, or even use your iPhone to pull up the video in this article and have her watch it. Here’s that link.